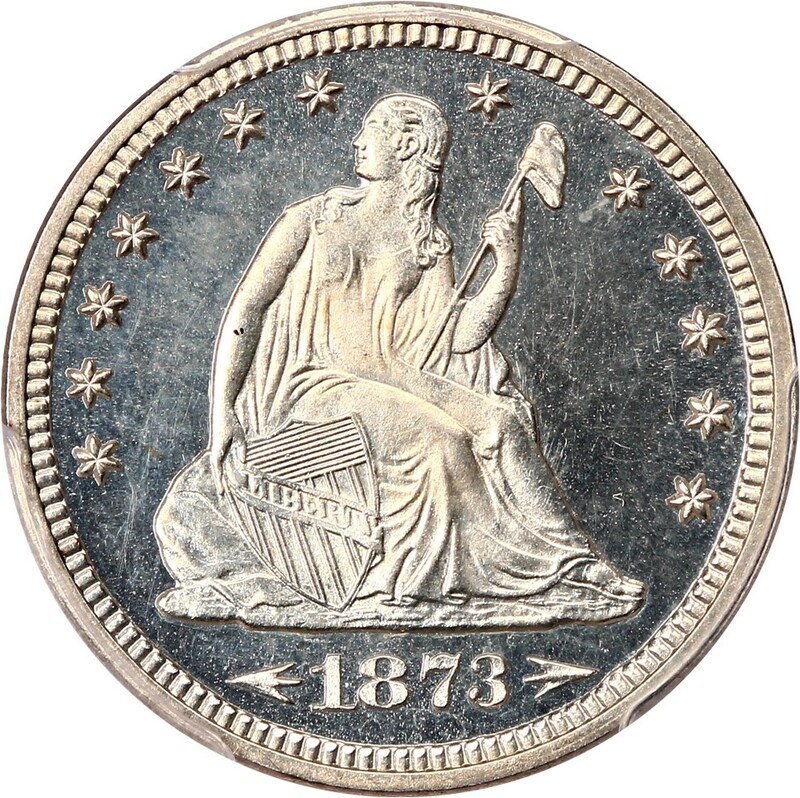 Proof Liberty Seated quarters were struck throughout the duration of the series, which designed by Christian Gobrecht and spanned a period stretching from 1838 through 1891. While the Liberty Seated design was popular and was shared on most United States silver coins, several modifications were made to the motif. Proof Liberty Seated quarters are scarce, though several issues are significantly challenging and expensive, most particularly the pre-1860s proofs. Cameo and deep cameo Liberty Seated proofs quarters are very desirable and usually command significant premiums over typical bid and retail prices.